Not the soundtrack for an E.M. Forster book. 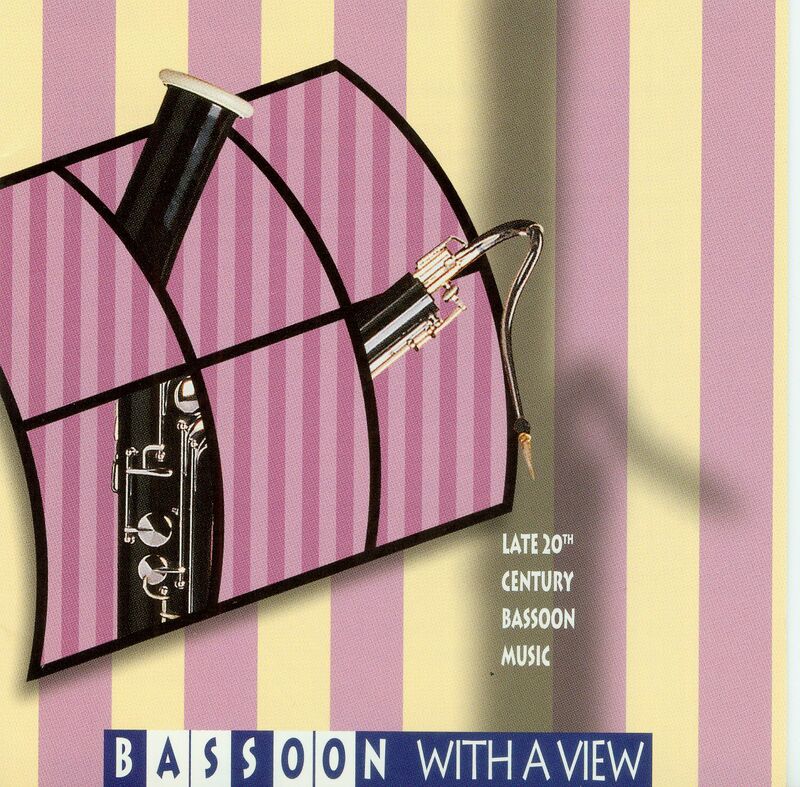 Bassoon with a View: Late 20th Bassoon Music, an extraordinary collaboration featuring six of America's top bassoonists. Bringing together a selection of recent solo art music, this CD demonstrates the versatility and expressive potential of this oft-overlooked wind instrument. The performances are not only musical but also technical tours de force, occasionally employing harmonics, glissandi, multiphonics, microtones, fluttertonguing, and circular breathing. Some works are solo, others are accompanied by piano or electronic tape. In some cases the composers are themselves the performers and all pieces appear here for the first time on CD. The composers represented are from the U.S., England, Poland, and Russia. Their works are central to the studies of any double reed students and will amply reward the adventurous listener of chamber music. This project is a labor of love by the performers, who have pooled their talents to record their favorite new works: William Davis is on the faculty at the University of Georgia, Christopher Weait at Ohio State, Graham Waterhouse (son of noted bassoonist William Waterhouse) works in Munich, Ronald Klimko is an editor for International Double Reed Society publications and teaches at the University of Idaho, Doug Spaniol teaches at Butler University, and Charles Lipp teaches in Illinois, where several of the bassoonists developed their interests in new music.